The Saint-Émilion appellation is one of the largest in Bordeaux covering 5,565 hectares of vineyards. This is divided further into a sub-division Saint-Émilion Grand Cru along with four satellite appellations: Lussac-Saint-Émilion, Montagne-Saint-Émilion, Puisseguin-Saint-Émilion and Saint-Georges-Saint-Émilion. Confusingly, Saint-Émilion Grand Cru is not part of the Saint-Émilion classification; it is a geographical area also. The 600 or so estates which have the right to use Saint-Émilion Grand Cru, can come from the same area as the Saint-Émilion wines but they have lower yields and higher potential alcohol levels and are therefore considered of higher quality. The wines made in Saint-Émilion use around 60% Merlot in the blend complemented with Cabernet Franc and small amounts of Cabernet Sauvignon and Malbec. The region’s terroir can be divided into three different soil types: the limestone plateau, the limestone and clay slopes and hills and the sandy or gravelly flatter land. In each of the three terroirs, great wine can be made although stylistically very different but it is the limestone plateau with its dark, intense wines with mineral flavours that is considered the heart of the appellation. As a result of the cold, limestone soils, Saint-Émilion and its satellite appellations are always the last areas to finish harvesting in Bordeaux. The highest point of the appellation is where L’If and Troplong Mondot stand next to the water tower that can be seen from miles around. Saint-Émilion makes a lot of wine – around two and one half million cases a year varying from the great Chateau Ausone to very ordinary generic wines. 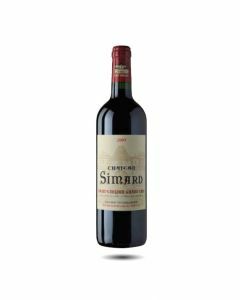 It is the only appellation that updates its classification every decade (although this has been fraught with controversy in recent years). It is regarded as the oldest wine region of Bordeaux and the first to export its wines. Located in the commune of Saint-Etienne de Lisse, this lovely vineyard looks out over the Dordogne valley. The wine is generous and fresh with an attractive red fruit character in the nose, good purity and a soft and silky texture. A good wine which can be enjoyed after 2 or 3 years of aging. A perennial favourite and still quite classic style that this year shows more ripeness and sweetness than in the past. 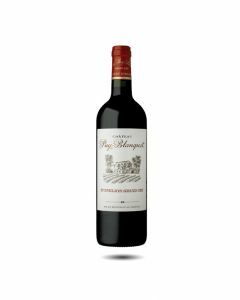 It has a dark ruby colour, intense, pretty red fruit and smoky aromas with an expressive attack, good freshness and balance. Round tannins and a lively structure. Well-made.